Rewilding Europe shares the concerns of the Vulture Conservation Foundation and BirdLife International that Europe’s vultures are now at extremely high risk. Rewilding Europe supports their efforts for banning veterinary diclofenac in Europe. Both organizations have sent to the EU Commission and the EU member states a formal request for them to start a Referral procedure for a withdrawal of marketing authorization of veterinary diclofenac under Article 35 of Directive 2001/82/EC, based on its risks for vulture populations in Europe. But the drug is now legally on sale in Spain and Italy, and it has been exported from Italy to countries like Serbia and Turkey and is now becoming widely available on the EU market. According to a technical dossier put together by SEO/BirdLife, RSPB and the Vulture Conservation Foundation, this will inevitably cause a European mass execution of these charismatic, endangered and ecologically valuable wildlife species. 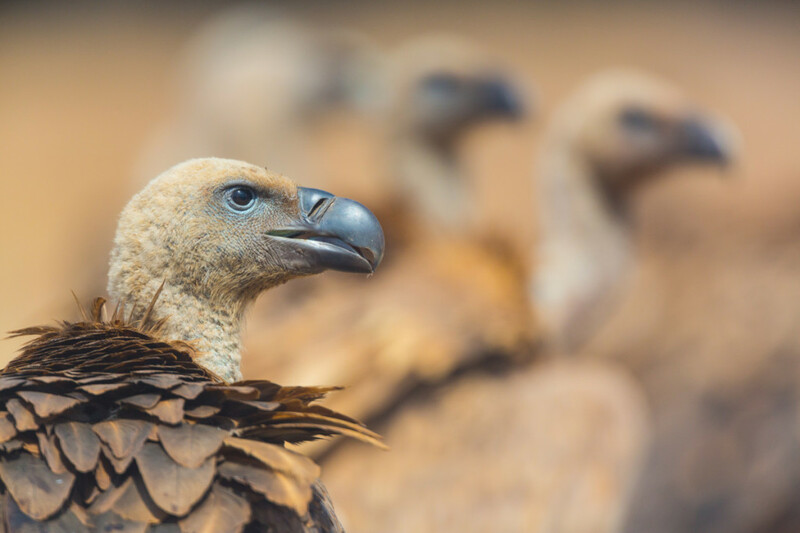 The situation in Spain in particular is of high risk, as this country hosts the bulk of the European vulture populations – 90% of the European griffons, 97% of the black vultures, 85% of the Egyptian vultures and 67% of the bearded vultures in Europe. These, and in particular the griffons and the black vultures feed often on carcasses of domestic animals left in the fields, or at dedicated vulture feeding points. Vultures are scavenging birds that perform very important ecosystem services: by the rapid recycling of corpses and carcasses in the countryside, vultures reduce the risk of spread of diseases, emissions of Greenhouse gases and prevent huge costs associated with the industrial collection and processing of carcasses. Europe has four species of vultures – the globally endangered Egyptian vulture (Neophron percnopterus), the globally near-threatened black vulture (Aegypius monachus), the globally ”least concern” griffon vulture (Gyps fulvus) and bearded vulture (Gypaetus barbatus).